After a two and a half month pause, the Aurora LNG project has officially restarted its environmental review. Nexen made the announcement at the Prince Rupert and District Chamber of Commerce meeting on June 14 that two days prior the company took its review back online. “This suspension of the review period was issued to give us more time to be thorough and diligent in our examination and responses to stakeholder feedback. We have now responded to this feedback to a level that is acceptable to the B.C. Environmental Assessment Office, so the review period has been re-started,” said Kyle Glennie, spokesperson for Nexen Energy. The company suspended its review on Day 70 of the 180-day assessment process to address the feedback. There are 1,168 comments and Nexen provided either an acknowledgement of concern or responses to each one. For example, the City of Prince Rupert made specific comments on air quality, infrastructure and economic concerns. The city is stated it will bear significant infrastructure costs if the project is approved and Nexen’s response is that the project falls outside of the municipality. “However, through tax revenue sharing … with the North Coast Regional District, the City of Prince Rupert could realize increased tax revenue from the project itself,” Nexen stated in the online document, file 1055-1057. The city’s socioeconomic concerns were also addressed. Aurora LNG has proposed to work with the city in preparing a social management plan. “During project operations, Aurora LNG anticipates that its effects on the economic environment will stabilize and be primarily beneficial to Prince Rupert, both from direct project spending, as well as from the large number of well-paying operational jobs that the project will bring to the community,” Nexen stated. As for how the project will impact housing affordability and availability, Nexen said that it plans to keep its employees on-site, on Digby Island, and have workers fly in and fly out to reduce housing pressures. 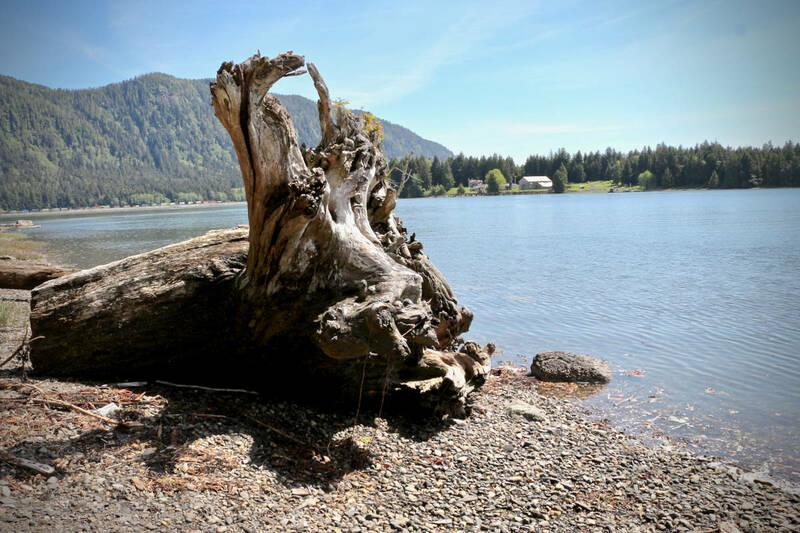 Nexen plans to present updates on the project to the North Coast Regional District on Friday, June 16 at the Dodge Cove Community Hall, where many of the residents have submitted their concerns for the project that would be less than one km away from their community. “Some of us would say that the suspension was as long as it was because the EA was shoddily done and engendered such a huge amount of queries and requests for more information a and clarifications,” Lou Allison said, a Dodge Cove resident who cited concerns about health, environmental and noise in her public impact statement. For the rest of the year, Glennie said that Nexen will continue with archaeological assessment work overseen by the Archaeological Working Group, which includes local aboriginal groups, to extensively map the area of interest. The current plan from 2018 until 2021 is to drill approximately 400 boreholes in the area as part of the company’s planned geotechnical program to understand the subsurface of Digby Island to design the facility, Glennie said. The liquefied natural gas (LNG) project proposed for Delusion Bay on Digby Island is a venture by Nexen Energy, a division of Chinese energy giant China National Offshore Oil Corporation (CNOOC) and Japan’s INPEX Corporation. If the project is approved by the province, and the company makes a final investment decision, Nexen anticipates it will begin construction some time between 2020 and 2024. 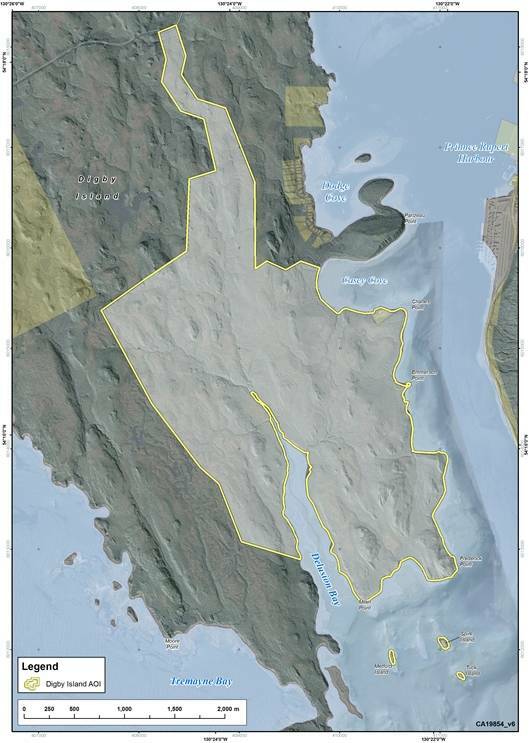 (Additional map by Friends of Digby Island showing the overlap of CNOOC-Nexen Aurora LNG project and the Dodge Cove Official Community Plan).